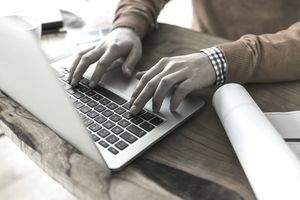 Cover letters submitted as part of a job application should follow a standard format, but different types of applications require differences in the content and approach of their cover letters. For example, the sample cover letter here focuses on a career change and the skills required for a position in sales and communications. Note that an important part of this approach is showing the employer how skills from a previous career (or multiple careers) can benefit the position in question. If the candidate had had an inside sales background, s/he would ideally have focused on this experience, providing and quantifying examples of their prior inside sales success with tangible dollar figures, numbers, or percentages. Lacking this experience, though, this career change candidate needs to highlight the transferable skills that they can bring to the employer in their cover letter – preferably without pointing out that they have little actual experience (which could be an immediate screen-out factor). The goal of this cover letter is to be persuasive enough to interest a hiring manager in proceeding to read the attached resume (which itself should be focused on transferable skills rather than unrelated professional experience). When writing a career change cover letter, remember that it is a powerful self-marketing document in which you need to convincingly predict and argue how your skills can fulfill the specific needs of an employer. The letter should thus be focused more upon the employer’s requirements (as expressed in their job ad or in the mission statement on their corporate website) rather than upon your own personal history or professional goals. To this end, be sure to mention the employing company’s name once or twice in your cover letter, and try to limit your use of the personal pronoun “I” so that the focus of the letter is placed squarely upon the employer. It was with much interest that I learned, through your advertisement posted on (the website where the position was posted) that (insert name of target company) is currently seeking to fill an Inside Sales position. I am looking to bring my well-honed public relations, marketing, and client-focused interpersonal communication skills to an inside sales role. The power of persuasion. I’ve pitched stories for C-level executives via phone and email and placed them in major media outlets, such as MSNBC, "CIO Magazine," Sirius Satellite Radio, MSN Money, "AARP Bulletin," and "The New York Daily News." The ability to reach key audiences. As a journalist, I published stories for print and online publications, including CareerJournal.com, CollegeJournal.com, and StartupJournal.com (online publications of "The Wall Street Journal"), "Consumers Digest," "Woman's Day," and "ePregnancy Magazine." As a copywriter, my work has been used in email marketing, online and offline advertisements, blogs, brochures, taglines, and websites. Strong financial aptitude. My experience includes more than a decade in the accounting profession in external and internal client-facing environments. With a B.S. in accounting from Southern New Hampshire University and a minor in management information systems, I have the hard financial and technical skills required to succeed in a sales role. Strong computer skills, with experience in both Microsoft Office (Word, advanced Excel, Outlook, Access, PowerPoint) and Mac software and also a basic-level familiarity with HTML, CSS, and digital design. A variety of personal skills that will ensure success in this role. I am a good listener with a solid work ethic and an insistent desire to excel, with the proven ability to meet deadlines without fail. A fast learner who enjoys fast-paced environments, I am also blessed with extraordinary factual recall. I'd love to find out more about the position and would welcome the opportunity to explore with you how my skills and ideas can benefit (name of company). My resume is attached; I can be reached at (555) 555-5555 or name@gmail.com.